Overlord takes disparate genres and melds them into an almost-two-hour gorefest that has delighted critics and fans. Made by JJ Abrams’ production company Bad Robot, Overlord features a relatively unknown cast now thrust into stardom through an unlikely vehicle. The movie, which currently holds a positive 84 percent on Rotten Tomatoes, was released to UK cinemas on November 7. Can you watch Overlord online? Is it legal? Unfortunately for the above-mentioned horror-haters, Overlord is not available to stream online. Nor is any site claiming to have Overlord available to stream legal, so steer clear. Overlord’s Rotten Tomatoes critics’ consensus reads: “With only hours until D-Day, a team of American paratroopers drop into Nazi-occupied France to carry out a mission that’s crucial to the invasion’s success. “Tasked with destroying a radio transmitter atop a fortified church, the desperate soldiers join forces with a young French villager to penetrate the walls and take down the tower. “But, in a mysterious Nazi lab beneath the church, the outnumbered G.I.s come face-to-face with enemies unlike any the world has ever seen. No official release dates for home entertainment version have been announced. It can take anywhere from three to eight months for a film to land on DVD. With its average theatrical run, Overlord will likely end up on DVD by February 2019. Sites like Amazon, which offer an un-dated pre-order for the DVD, will also likely provide purchasers with a combination deal offer. This offer would provide an electronic copy with a hard copy purchase, available to watch on Amazon Video from multiple devices. Be careful when pre-ordering on Amazon – a 2017 movie of the same name is available on the website. Which streaming site Overlord winds up on also remains to be seen. The big contenders are, of course, Netflix, Amazon Prime, and Now TV. But sites like YouTube Premium and Chili have been trying to give the big three a run for their money. A title like Overlord would undoubtedly boost their credibility. Where Overlord winds up, only time will tell. 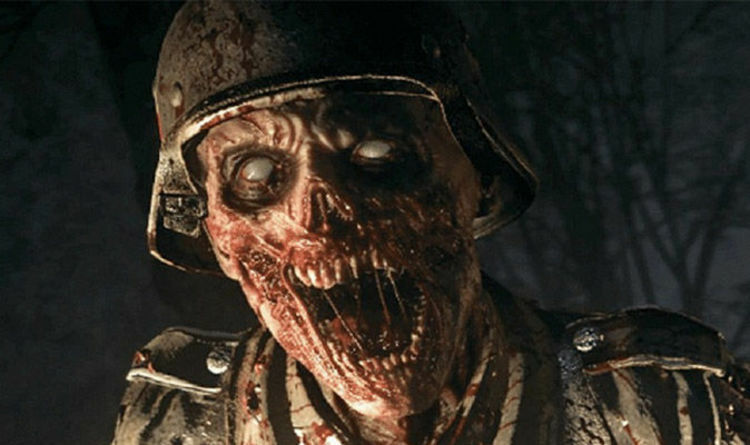 For now, you’ll have to head to the cinema to see Nazi-zombies. Overlord is out in cinemas now.